ChristianBlessings exists because our God is the Faithful One. Our prayer is that every visitor here will find our God as your Faithful One too. This Page is a testimony of God’s faithfulness to ChristianBlessings through the years since 23 July, 2010. Father, only You can make it grow. Lord, complete Your work as we obey. For Your purpose and Your glory, Lord. Bless its fruit in human lives, we pray. Bless this seed. We leave it in Your hand. © 2009 by LNWhymns.com. CCLI Song #5610071. 29 Responses to Faithful One – We’re Blessed! How do I convert my 25yr old son, who is a stubborn agnostic? I’m quite worried about my three adult children, Briahna 37, Michael 33, Anthony 25. Thank you for visiting, Kathleen. It is our responsibility to share the gospel of Jesus Christ with loved ones. We have to leave their conversion to the Holy Spirit as we intercede on their behalf. Mothers pray for your children’s salvation for as long as they have breath there is hope for salvation. Their eternal destiny between heaven and hell remains their choice, not yours. Thank You Lord for yesterday, today and tomorrow. Praise the Lord for He has supplied every Contributor and Viewer, blessed and encouraged and strengthened us to greater works for and in Him. Thank You Lord for the privilege of service to You. Thine be the glory. Amen. 2103/2014 The Word – 100 Urdu blogs compiled and distributed. 400 French Bibles and Children’s Bible activities materials sent to Senegal. Prayer and other Support for Abducted to Kill Christian movie, Stop Abuse. Bibles to Cameroons , with God’s help, managing the churn and mix of our Contributors and Viewers who join us and leave according to their seasons in life. Make a difference – Next steps? We do not know the future but He knows. We are totally dependent on our Savior and Lord for our lives and ministry. Folks, through our 4 years on ChristianBlessings we have enjoyed the grace of God. We thank God for everyone past and present who have been blessings here and especially those who have supported us in Contribution, in LIKES and in just being there we know. Thank you. May His blessings continue to flow to all who come to bless and be blessed. We will face the challenge of churn as people come and go, always proving the Lord remains faithful to the end. Praise the Lord. Let us Hold On, encourage and pray for one another when hard times come, for they will come. Be faithful and let God have the glory at all times. He will not share His glory with any other. Amen. Today or tomorrow, ChristianBlessings will have accumulated 550,000 viewers, with 10,000 followers. Praise the Lord. It is only His great love that has drawn everyone who has visited and stayed here to be encouraged in His truth and His love. It is the verse above that keeps us going from day to – surmounting the challenges of the environment to quit and obstacles raised by the enemy in each one of our lives that would distract and discourage us. We will not yield as He did not yield but to the will of God. He is with us. Looking unto Jesus the author and finisher of our faith. We are immovable as His Word is unchangeable – yesterday, today and forever the same. Amen by His grace and mercy His Word will be engrafted to our lives, line upon line, precept upon precept. We know He is our Rock so when the rains beat upon us and stormy winds blow, we stand secure knowing He cares for us. We will abound in the work of the Lord – not in our own strength but in His. Praying always in joy and thanksgiving through every situation for He that is in us is stronger than he that is in the world. We will not be distracted but remain focused to His calling to preach the gospel and to make disciples and above all to let His love flow in us and through us. Nothing beats a dose of His grace and mercy every morning that will help us abound in His love. He doeth all things well for He knows and controls everything that pertains to His work. He walks and talks with us along life’s narrow way and we are testimonies of His faithfulness and abounding love. He will not let us go. Hallelujah! And yes He was, is and will forever be our Hope for we remember what He said ” John 14:3 – And if I go and prepare a place for you, I will come again, and receive you unto myself; that where I am, [there] ye may be also. Revelation 22 12-13 And, behold, I come quickly; and my reward [is] with me, to give every man according as his work shall be. I am Alpha and Omega, the beginning and the end, the first and the last. Even so keep us faithful Lord – we will follow You all the days of our lives – in pastures green and beside the still waters where there is peace that the world cannot understand and joy which is Your strength in us. We have another milestone on 15 January 2014 with record of 500,000 views. Praise the Lord! Praise God for Contrbutors, readers, commenters of ChristianBlessings who are our supporters returning repeatedly daily to be blessed from anointed blogs, messages, Bible study, songs, testimonies and sometimes we shed tears together in prayer for one suffering family member here. Thank you each and everyone for your LIKES which have surely encouraged our Authors/Contributors, yet remained seemingly unacknowledged. Thank you for your valuable comments which indicate some impact enough for response and adding to the dynamism of ChristianBlessings. Thank you to every Author/Contributor -past and present, you kept each beneficiary coming, Praising The Lord and leaving with a skip in their steps, renewed hope that life is worth living, and most importantly we hope no one has left after reading our blogs without knowing that JESUS LOVES YOU !!! He invites you to experience Him. KEEP COMING AND GOD BLESS YOU REAL GOOD. FOR US TO SHARE YOUR LOVE ARROUND THE WORLD. LEAD US ON LORD, WE PRAY. Praise the Lord…. For the record, ChristianBlessings has 5000 followers today – August 19, 2013! The Lord has brought them one by one to us. He will sustain each one with blessings each day. Glory to Him. In the evening as I was browsing ChristianBlessings’ Dashboard, the Lord drew my attention to http://bestchristianblogoftheweek.blogspot.sg/ which I had never heard of nor noticed before. 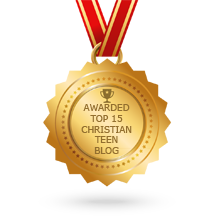 Curious, I clicked and was soooooooooooo surprised as ChristiansBlessings had won the Best Clhristian Blog of the Week award for 17-23 June, 2013. It was no accident. It was God’s ordained message to me for yesterday. Although I did not know of this award, nor of the criteria for winning this award. It was God’s affirmation to me. As He had initiated ChristianBlessings since July 2010, He has drawn international bloggers of different ages and experiences, from the USA, Australia, England, S Africa, Philippines and myself from Singapore, who love the Lord to be its Contributors. He has sustained, refreshed and today inspires and anoints the blogs reaching to all parts of the world, touching and I pray impacting lives of each reader, who comes with an expectation to be blessed. His faithfulness is our experience and His promises ever true. that the Lord has accepted the offering of our blogs to Him, as faithfully His team of Contributors have posted His message of God’s love in prose, poetry, picture and song, with earnest hearts of thanksgiving and praise, sometimes sharing pain or laughter, here to His praise and glory. With His surprise encouragement, let us continue to present Him our best effort in the blogs we write. Let us always be assured that He sees what we do and hears what we say, as He’s watching all the time, helping, strengthening, empowering us as His channels of blessings. Let us never be proud, remaining humble before Him and all, let this be a reminder that we can do nothing without Him for this IS His blogsite. I can’t express enough how this, your blog is blessing me. As the waters cover the ocean, likewise may the riches of Christ our Lord Jesus shower upon you . Praise Him, Amen. Thank you his4glory. Praise to The Lord. I pray you will be continually blessed each time you visit at ChristianBlessings.